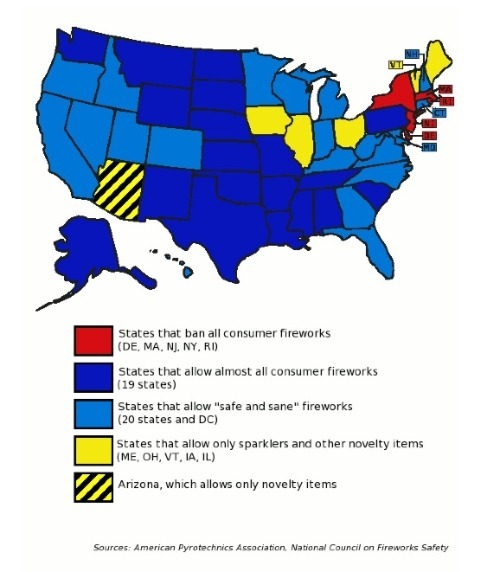 Some friends of mine and I were wondering where fireworks are legal and where they're not. This handy graphic shows you. From Buzzfeed. As a new dog-owner, I suddenly have a renewed dislike for retail fireworks. Oops. Perhaps I made an insensitive comment on my sister's blog. The problem with living several thousand miles away is you lose perspective on people's sense of humor about aging. In my defense though, we were all thinking it. I just said it. Sorry Kath. The Dutch beat Uruguay today. That means Europe is guaranteed to win its first cup held outside the continent. If Spain manages to beat Germany, the winner will be a nation that's never won before. Fingers crossed!